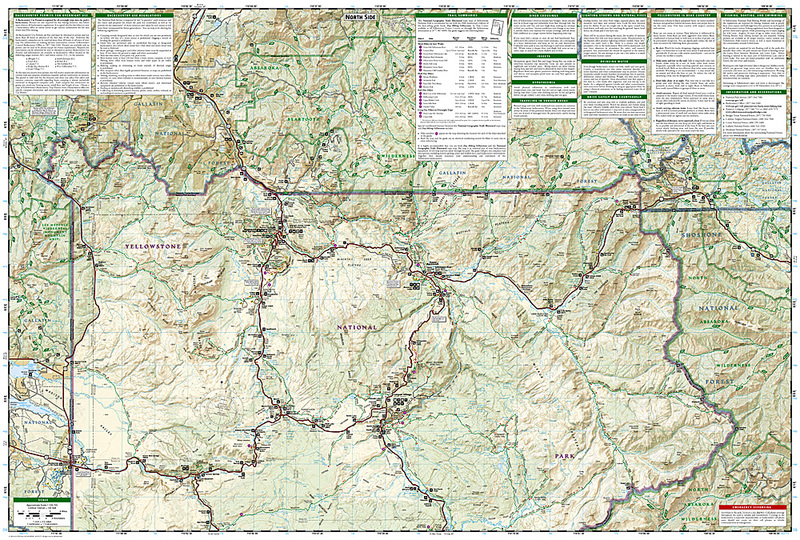 Yellowstone National Park Map [TI201] - $10.95 : Trail Explorers Outpost, Keeping the Adventure Alive! National Geographics Trails Illustrated map of Yellowstone National Park is designed to meet the needs of outdoor enthusiasts by combining valuable information with unmatched detail of Americas first national park. 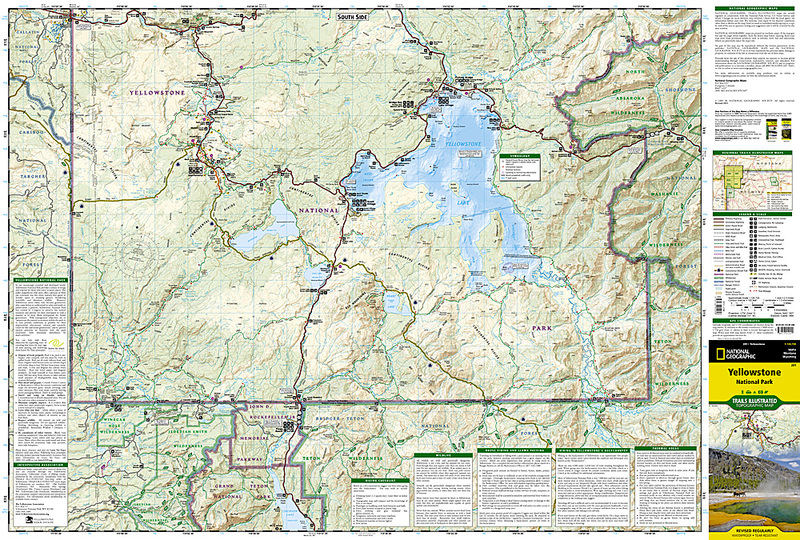 Expertly researched and created in partnership with local land management agencies, this map features key points of interest including Mammoth Hot Springs, Canyon Village, Yellowstone Lake, Yellowstone Falls, Grant Village, and Old Faithful geyser area. All proceeds from the purchase of a National Geographic map help support the Societys vital exploration, conservation, scientific research, and education programs. Other features found on this map include: Beartooth Mountains, Big Game Ridge, Buffalo Plateau, Colter Peak, Cooke City, Corwin Springs, Craig Pass, Crowfoot Ridge, Eagle Peak, Emigrant Peak, Gallatin National Forest, Gardiner, Granite Peak, Granite Range, Grayling, Grouse Mountain, Heart Lake, Hurricane Mesa, Lake Plateau, Lamar River, Lewis Lake, Lower Falls of the Yellowstone River, Mammoth, Miner, Mount Hancock, Mount Holmes, Mount Sheridan, Mount Wallace, Mount Washburn, Old Faithful, Pahaska Tepee, Pilot Peak, Pitchstone Plateau, Ramshorn Peak, Red Mountains, Saddle Mountain, Shoshone Lake, Thorofare Plateau, West Thumb, West Yellowstone, Yellowstone Lake, Yellowstone National Park, Idaho, Montana, Wyoming. Flat Size : 26" x 38"
Folded Size: 4".25"" x 9".25"